The 910 colorimeter is a rugged, waterproof, single parameter instrument for the measurement of COD (chemical oxygen demand). 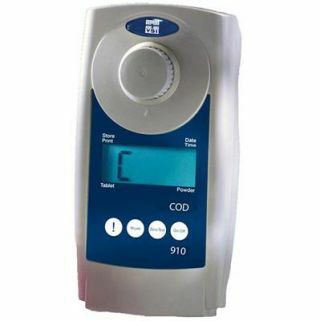 The EPA-approved COD test is useful for performing rapid, frequent monitoring of treatment plant efficiency, and results allow quick response to changing conditions in the waste stream while the traditional BOD5 test takes 5-days to determine results. Interested in a COD meter? Learn about the trade in program currently going on (U.S. only). Or, if you prefer to buy from one of our dealers, take advantage of our rebate program! 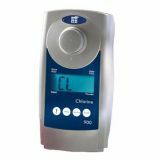 If you are interested in measuring multiple parameters or chlorine only, then you may be interested in the YSI pHotoFlex colorimeters or the YSI 900 Chlorine Colorimeter.